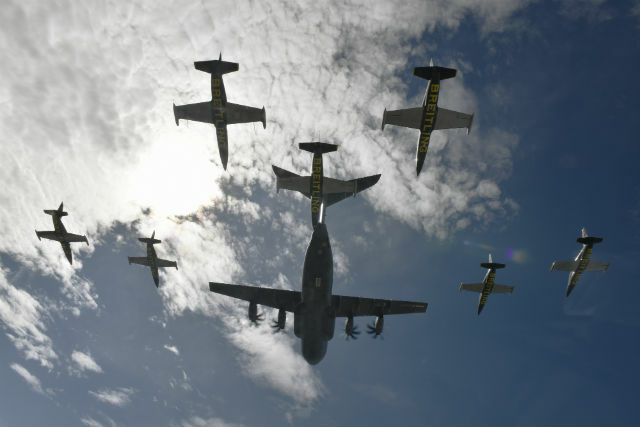 The Airbus A400M and the Breitling Jet Team joined forces yesterday for a formation flight in the south-west of France not far from the airframer's Toulouse headquarters. The result is these stunning images of prototype aircraft Grizzly 6 (F-WWMZ) alongside the aerobatic team. 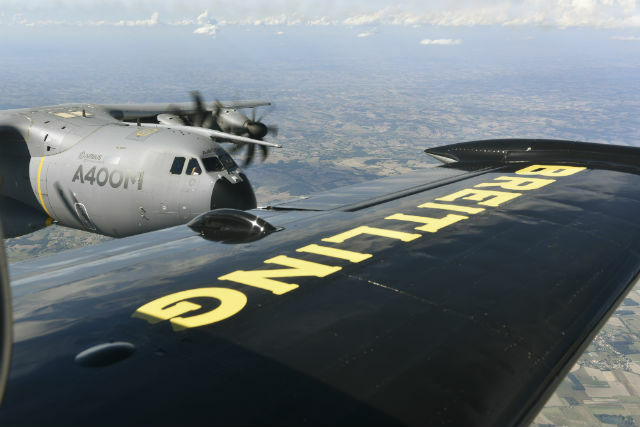 Although you might think the turboprop-powered A400M would be no match for the jet-engined Let L-39C Albatros, the four Europrop International TP400-D6s help deliver the Grizzly's top speed of 478kt (885km/h) against 405kt for the Czech-built aircraft.